1988-07-01. New. Ships with Tracking Number! INTERNATIONAL WORLDWIDE Shipping available. Buy with confidence, excellent customer service! Collier Books - Macmillan, 1989-08-01. Paperback. Used:Good. 1989-04-09. Good. Ships with Tracking Number! INTERNATIONAL WORLDWIDE Shipping available. May not contain Access Codes or Supplements. May be ex-library. Shipping & Handling by region. Buy with confidence, excellent customer service! Weidenfeld & Nicolson. Hardcover. 1555841066 Like New Condition. . Fine. Weidenfeld & Nicolson. Hardcover. 1555841066 New Condition. . New. 1989-02-05. Good. Ships with Tracking Number! INTERNATIONAL WORLDWIDE Shipping available. May not contain Access Codes or Supplements. May be ex-library. Shipping & Handling by region. Buy with confidence, excellent customer service! Weidenfeld & Nicolson, 1988-03-01. 1. Hardcover. Used:Good. New York: Weidenfeld & Nicolson, 1988. 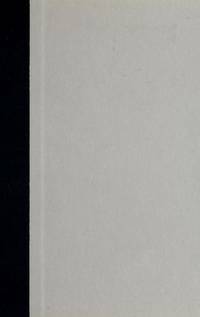 First edition, first printing (full number line). Hardcover. Near fine copy in near fine, unclipped dust jacket./near fine. Octavo in black cloth and brown paper in off white dust jacket;  pages of plats; illus., maps, portratis; 398 pp., 24 cm. ; DJ is lightly edgeworn (no tears); cloth very lightly rubbed at the spine ends and boards are very lightly worn and bumped along the edges; o/w boards are clean; jacket is clean; pages are clean, crisp, bright and free of marks and creases; edges of leaves are clean; binding is tight and square; a gently used copy; In English; Out of Print; Abstract: "Blowback is the fullest and most authoritative account ever written of America's collaboration with Nazi after World War II, and of the long-range effect this has had on the nation's domestic and foreign policy. Drawing on extensive firsthand research and a wealth of documents previously classified or never before made public, Christopher Simpson has written a major and often startling work about the extensive connection between high-ranking American officials and ex-Nazis and collaborators, and about the effect this relationship has had on American society and the cold war." --Book Jacket. Condition: Near fine copy in near fine, unclipped dust jacket. 1988-07-01. Good. Ships with Tracking Number! INTERNATIONAL WORLDWIDE Shipping available. May not contain Access Codes or Supplements. May be ex-library. Shipping & Handling by region. Buy with confidence, excellent customer service! New York, New York, U.S.A.: Weidenfeld & Nicolson, 1988. 398pp/illus. America's Recruitment of Nazis & its Effects on the Cold War. Impressively illustrated with an array of photo and other plates. Clean. 1st Printing. Hard Cover. Near Fine/Near Fine. 8vo - over 7¾" - 9¾" tall. Collier Books - Macmillan, 1989-08. Paperback. Good. Weidenfeld & Nicolson. Used - Good. Good condition. Good dust jacket. Weidenfeld & Nicolson, 1989. Hard Cover. Very Good/Good. BLOWBACK:THE FIRST FULL ACCOUNT OF AMERICA'S RECRUITMENT OF NAZIS, AND ITS DISASTROUS EFFECT ON OUR U.S. COLD WAR DOMESTIC AND FOREIGN POLICY. 1988. 398p. il. d/j. 1st ed. F/VG. New York: Weidenfeld & Nicolson, 1988. First Edition. Hardcover. Very Good Plus/Very Good Plus. New York: Weidenfeld & Nicolson, 1988. Book has bumps on bottom boards, light soiling/edgewear, dj has a bumping, light soiling, minor edge & shelfwear.. First Edition. Hard Cover. Very Good Plus/Very Good Plus. 64mo - up to 3" tall. Weidenfeld & Nicolson, 1988-03. Hardcover. Good. New York: Weidenfeld & Nicolson, c1988. First Edition. First Printing. very good, very good. 24 cm, 398, illus., maps, slight soiling to DJ. Grove/Atlantic, Incorporated, 1987. Hardcover. As New. Disclaimer:An apparently unread copy in perfect condition. Dust cover is intact; pages are clean and are not marred by notes or folds of any kind. At ThriftBooks, our motto is: Read More, Spend Less.Dust jacket quality is not guaranteed. Grove/Atlantic, Incorporated, 1987. Hardcover. Acceptable. Disclaimer:A readable copy. All pages are intact, and the cover is intact. Pages can include considerable notes-in pen or highlighter-but the notes cannot obscure the text. At ThriftBooks, our motto is: Read More, Spend Less.Dust jacket quality is not guaranteed. Grove/Atlantic, Incorporated, 1987. Hardcover. Very Good. Disclaimer:A copy that has been read, but remains in excellent condition. Pages are intact and are not marred by notes or highlighting, but may contain a neat previous owner name. The spine remains undamaged. An ex-library book and may have standard library stamps and/or stickers. At ThriftBooks, our motto is: Read More, Spend Less.Dust jacket quality is not guaranteed.